A Proposal-for-Change to create voluntary Deemed-to-Satisfy (DTS) provisions in the National Construction Code 2019, Building Code of Australia Volume One (NCC) was submitted by Forest & Wood Products Australia (FWPA) to extend the use of timber construction systems to all classes of buildings up to 25 metres in effective height (termed ‘mid-rise’ construction). The provisions address both traditional ‘timber-frame’ and ‘massive timber’ systems such as cross-laminated timber (CLT) with the use of appropriate layers of fire-protective grade plasterboard (i.e. fire-protected timber) and the use of NCC compliant fire sprinkler systems. This seminar will be delivered by Boris Iskra (FWPA) and Paul England (EFT Consulting) who were principally involved in the development and submission of the NCC proposal on behalf of FWPA and will provide attendees with the knowledge to confidently implement the NCC changes. Boris Iskra has an extensive understanding of the Australian forest and wood products sector with 25 years of direct involvement. He is the National Manager-Codes & Standards for Forest & Wood Products Australia where his role is to coordinate the development and review of Australian timber standards, and associated building standards and codes, on behalf of the National Timber Industry. He holds a Bachelor of Engineering (Structural) degree and a Graduate Diploma in Building Fire Safety and Rick Engineering. Paul England has been the principal of EFT Consulting since 2012 and has been involved in fire research, testing and consultancy for over 35 years. 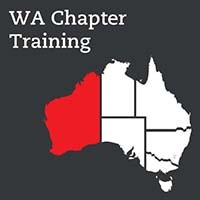 He founded Warrington Fire Research (now Exoya Warringtonfire) in Australia in 1991 and was responsible for its development as a leading NATA accredited fire test laboratory, research facility and fire safety engineering practice of over a period of 20 years. He has undertaken various fire safety engineering analyses underpinning proposals for change to the NCC and chairs the Standards Australia Committee FP18 which is responsible for developing fire testing classification and fire safety engineering standards. He is a Fellow of Engineers Australia and is past president of the Engineers Australia Society of Fire Safety. To view the full Training Operations Policy, in which event terms and conditions are discussed in full,click here. Participants may transfer their registration to another training session up to one (1) working day prior to the commencement of the training day without loss of funds. Payment Policy: Payment is required PRIOR to attending the event. Payment terms on all invoices are the earlier of 14 days from the date of invoice, or prior to the first day of the event (where registration is completed and invoice issued less than 14 days from the first day of the event). Any cancellation of registrations for seminars must be made in writing to training@aibs.com.au. A failure to make payment in accordance with the above terms will not be accepted as a valid cancellation. There is a strictly limited capacity available for this event - Register to secure your place now. Copyright © Australian Institute of Building Surveyors.